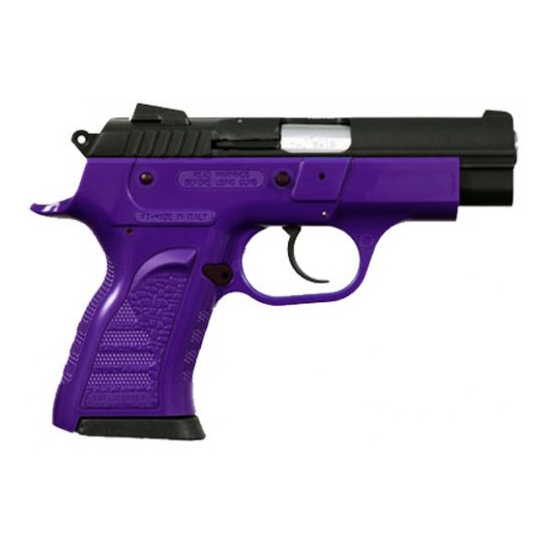 EAA 999042 Witness Compact 9mm Single|Double 3.6 13+1 Purple Polymer Frame in. The Witness Polymer Carry blends many of Tanfoglios outstanding design features to produce one of the finest polymer frame defensive pistols ever made. The Polymer Carry is a hybrid design using a full size polymer frame and compact slide taking this Commander" style pistol to a new level. This pistol features Tanfoglios compact 3.6" cone lock barrel system for enhanced accuracy and positive lock up and a Wonder finish slide with special low profile snag resistant sights. These pistols can be converted to 22LR 9mm .40SW .45ACP and 10mm. An integral M1913 rail is included for optics mounting."